For over 30 years, Brandt Instruments has been a leading manufacturer of I/P and P/I transducers as well as air/gas flow measurement instrumentation. 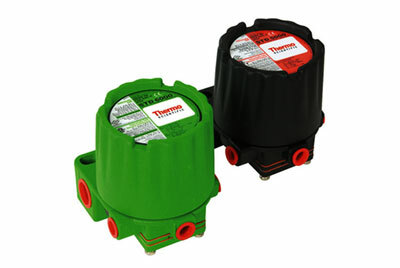 Brandt 5000 and 6000 Series current to pressure transducers are accurate, reliable, and simple to install. Brandt Instruments is now part of Thermo Fisher Scientific, Inc.
Brandt Instrument Plant Standard STD5000 and STD6000 Series of Current-to-Pressure (I/P) Transducers represent the highest standard in I/P Technology. The rugged NEMA 4X housing, compact size and revolutionary “Plug-In E-Pi Module” coupled with Thermo’s field proven technology and affordable price make them the most accurate, reliable and simplest I/P’s to install, operate and maintain in the industry. By taking the time to understand your business needs, we use our expertise and high standards of quality to create the best solution that meets your requirements.